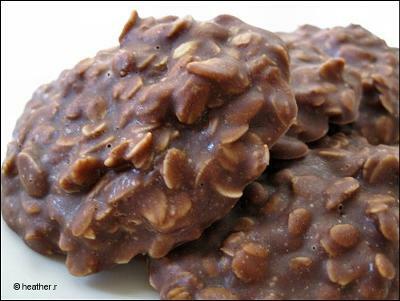 No-bake cookies are easy for kids to make. Mix, drop, and cool. Then enjoy your no-bake cookies. 1. Add the first four ingredients into a 4-quart sauce pan. 2. Bring to a rolling boil and let sit for one minute. 4. Stir in the next 3 ingredients. 5. Drop by tablespoons onto wax paper.